Located on Nun Street in Newcastle, Reflex are one of the foremost independent purveyors of brand new vinyl and CDs in the city. Striving to offer their customers the best prices for their vast range of wares, the shop is also officially a part of the annual Record Store Day. 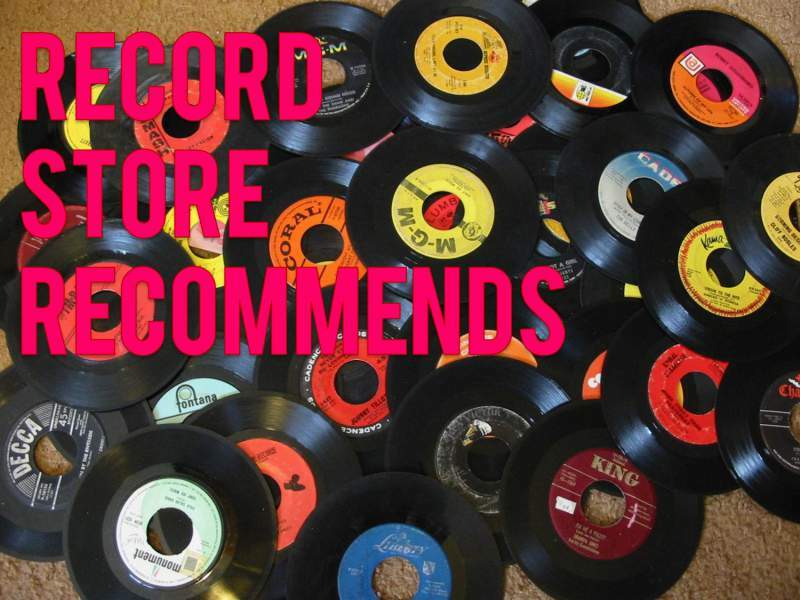 Here, they discuss some of the best picks from the shop, including polished pop, raw grungy power and political statements. No, really! It’s got heartbreak, heartache, reconciliation and redemption all in there. New York sets the tone for what is an album so highly polished and well produced that by the time you hit track three (Style) you’re swooning for more. It’s a modern pop record that actually works and makes you want to listen to it again and again. It has all the sheen and glitz of the Superbowl that you sort of hate on a record but you can’t stop going back for more. Change the synths for guitars and you’ve got an indie album packed with golden nuggets. Or even better, just listen to it and admit it’s good. Quite simply a masterpiece. Re-issued last year with a hoard of bonus content, the albums starts with Iggy Pop extoling the virtues of punk rock and culminates in the masterful Christmas Steps, ten minutes of brooding post rock perfection before the album closer. Dark, menacing, uplifting and loud. It can sweep you away to an equally disturbing or peaceful place depending on your mood. It’s raw power in just over 65 minutes, an album that protects and puts an arm around you. Then punches you square in the face. It hasn’t been available for years now but when Setanta finally got round to re-issuing the three albums of Hawley’s in their catalogue, it was a great opportunity to remind us all of an artist who should be up there with Morrissey as a quintessential British icon. Late Night Final is part of a trio of albums full of swoon-inducing moments and a reminder that not everything out there is happy endings and roses. I chose this album ahead of the other two in the series of re-issues simply because Baby, You’re My Light is on this album. The Doves frontman’s solo album divides opinion. For me, though, it’s one of the highlights of the last 12 months. By no means is it a perfect debut solo effort (see Man V Dingo) but the album flows well and spikes with perfect moments like Oh! Whiskey and Didsbury Girl to the “quirky but works” Panic Tree. It’s an album that is steeped in its Doves roots but one that is never afraid to branch out and dig deeper and further out (like on Sub-Sub). Here is an album that encapsulates all that is good and infuriating from one of the most under-rated songwriters of recent times. Digest this album in one go and opine after. Steve Mason is the ever-changing one time Beta Band man whose guise changes more than most would like. It seems apt to put an album that at the time was billed as the “political album” when it was released on this list. All the anger of one of the most forward-thinking songwriters is channelled here into some gems that wouldn’t have sounded out of place on the one of his three EPs. Monkey Minds is similar to the Jimi Goodwin album in that to enjoy the gems on here, of which there are plenty, you have to take the album as a whole. The self-indulgent incidental tracks are a precursor to some outstanding moments that stand well against the best of King Biscuit Time, Black Affair and, just whisper it, Beta Band tracks. To find out more about Reflex and what they have on offer, visit their website. Alternatively, visit their Facebook page for more information.